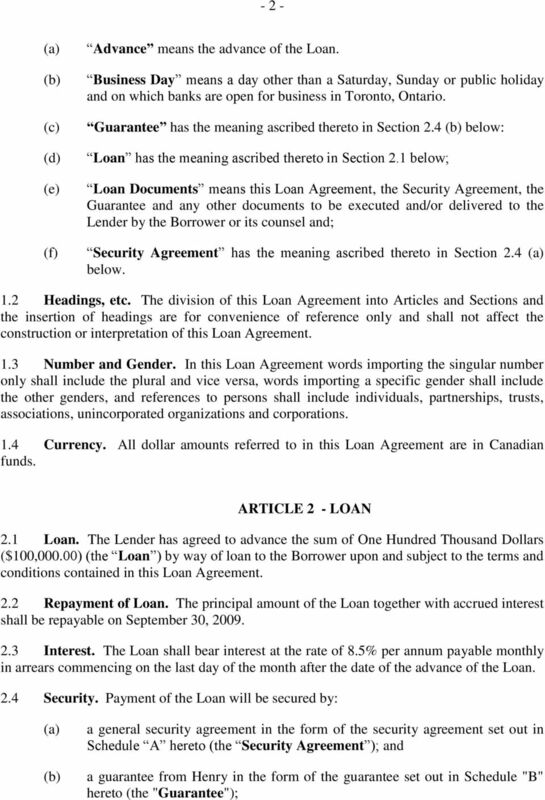 Download "LOAN AGREEMENT. 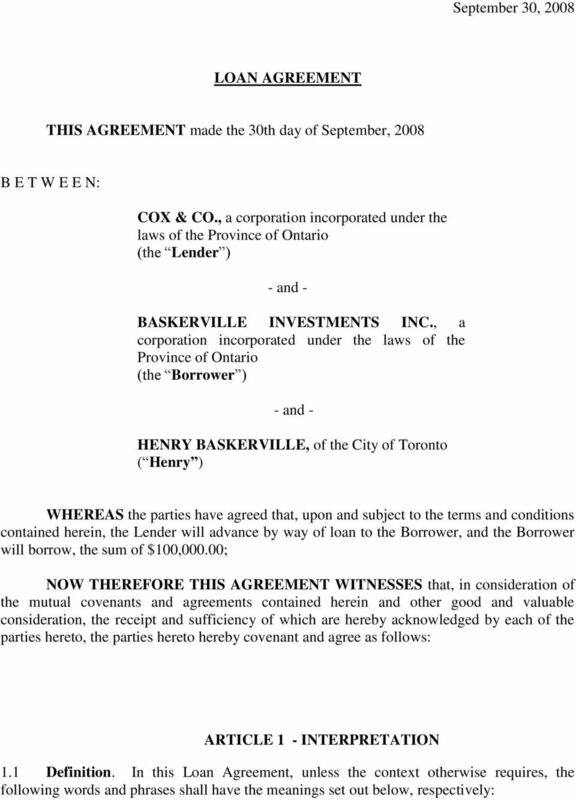 THIS AGREEMENT made the 30th day of September, 2008"
5 - 5 - (d) (e) (f) (g) (h) default by the Borrower in the performance or observance of any covenant, condition or obligation contained in any Loan Document to which it is a party that does not require the payment of money to the Lender unless such default is remedied within 15 Business Days after notice thereof by the Lender to the Borrower; default by the Borrower in the performance or observance of any covenant, condition or obligation contained in any agreement between the Borrower and any person, where such default gives rise to a right to enforce security against the Borrower and such security is being enforced; the Borrower takes any action or commences any proceedings or any action or proceeding is taken or commenced by another person or persons against the Borrower in respect of the liquidation or dissolution of the Borrower and same is not contested in good faith by the Borrower; the Borrower commits or threatens to commit any act of bankruptcy pursuant to or set out under the provisions of the Bankruptcy and Insolvency Act; the filing of a petition for a receiving order against the Borrower pursuant to the provisions of the Bankruptcy and Insolvency Act and the same is not contested in good faith by the Borrower; any execution, sequestration or other process of any court or other tribunal becoming enforceable against the Borrower or a distress or analogous action or proceeding being taken, commenced or issued against the Borrower; a receiver, receiver and manager, agent liquidator or other similar administrator being appointed in respect of the assets of the Borrower or any part thereof or the taking by a secured party, lien claimant, other encumbrancer, judgment creditor or a person asserting similar rights of possession of the assets of the Borrower or any part thereof and the same is not contested in good faith by the Borrower; 6.2 Remedies Upon Default. Upon the occurrence of any event of Default, the Lender may: declare all entire principle amount and interest to be immediately due and payable; realize upon all or part of the Security; and take such actions and commence such proceedings as may be permitted at law or in equity (whether or not provided for herein or in the Central Security Agreement) at such times and in such manner as Lender in its sole discretion may consider expedient. PROMISSORY NOTE. Interest calculations shall be based on a 360-day year and charged on the basis of actual days elapsed. 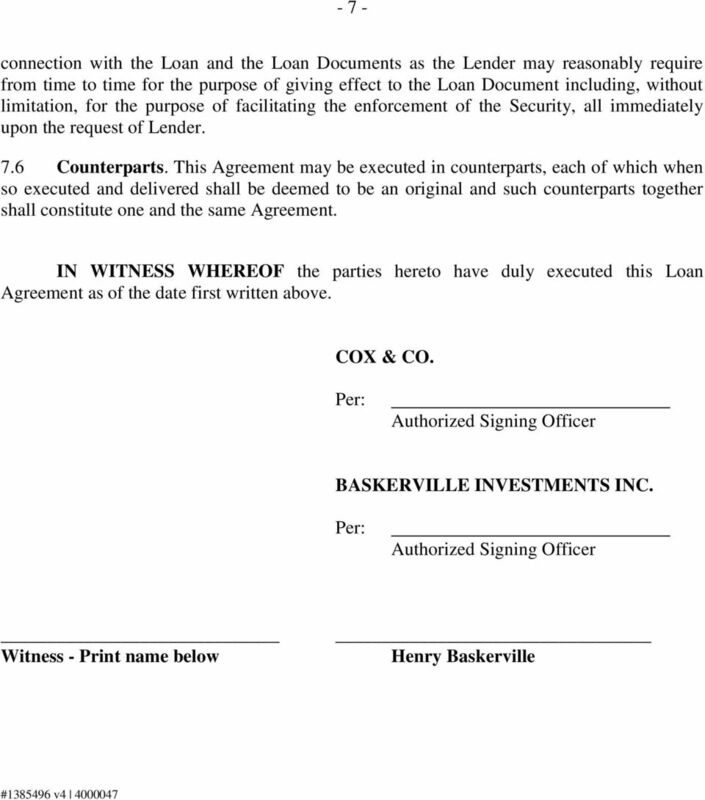 This agreement entered into Between: ( the Company ) and ( the Broker ) witnesseth that in consideration of the mutual covenants of the parties herein contained, the parties hereto agree as follows: 1. 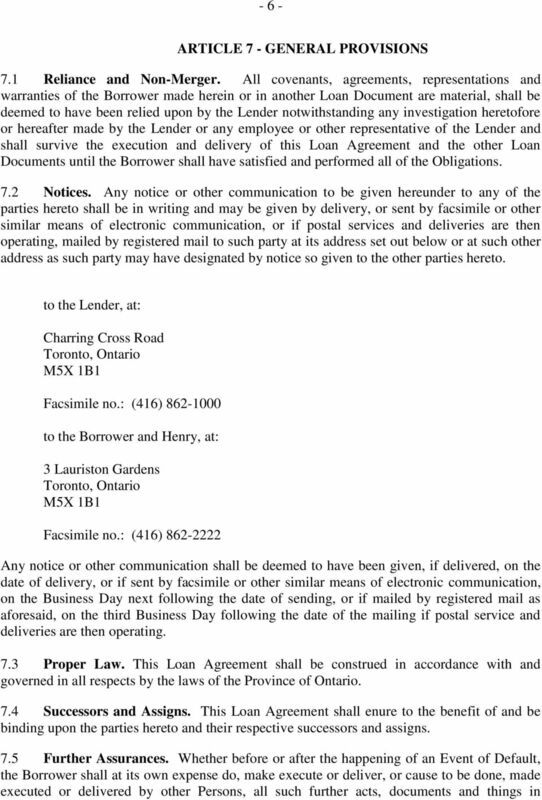 GLOBAL MASTER SECURITIES LENDING AGREEMENT CONTENTS 1. Applicability...1 2. Interpretation...1 3. 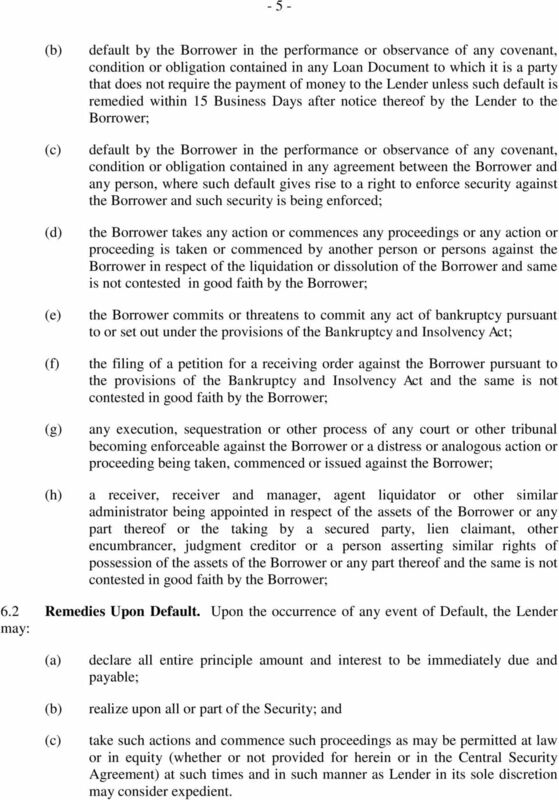 Loans Of Securities...5 4. Delivery...5 5. Collateral...7 6. Distributions And Corporate Actions...10 7.